Taxation structure in India has well developed three-tier federal structure comprising the Union Government, State Government, and Local Bodies. The responsibilities to impose taxes have been distributed among these three tiers. The Main Taxes such as: Income Tax, Custom Duties, Central Excise, Sales Tax, and Service Tax have been authorized by Union Government or Central Government. The principal Taxes have been levied by State Government are Sales Tax (Sale Tax on intra state), Stamp Duty (Duty on transfer of property), State Excise, Land Revenue, Entertainment Tax, and Professional Tax. Local Bodies are empowered to levy Property Tax, Tax on Utilities (Water and Drainage), and Octroi. In India, Tax is applicable for any income pertaining to a person working as an employee in the public sector, in the private sector, in foreign companies in India, in State Governments, in Central Government, orself-employed individuals engaged in commercial activities which are legal in nature. Salaries cover all financial gain that has been obtained from service performed and it would include wages, fees, commission and pension. The standard deduction amount is deducted from salary on the percentage basis. It includes the income earned by renting the residential or commercial properties. It includes financial benefits received from business or profession minus permissible deductions. It includes the profit from transferring the properties or assets. Capital Assets held for 36 months (12 months for Shares and Securities) are taken as short term assets, whereas all others are taken as long term capital assets. Long Term Assets have advantage of lower tax rate. It includes all other incomes that cannot be classified in any category. The law of Tax in India allows an exemption in income earned by Foreign National for providing services in India. This category of income has numbers of terms and conditions. Indian Income Tax Deductions : Section 80C of Indian Income Tax Act is directly related to Tax Deductions for Monthly Saving or Life Insurance. 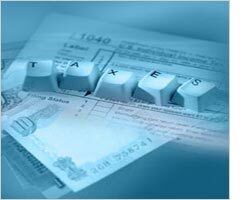 Following are the ways of investments in which the Tax Payer can have a benefit of Section 80C of Indian Income Tax act. Indian Income Tax Act is enormous, complex in nature, and keeps on changing every financial year. The importance of Indian Income Tax Law in our routine life cannot be ignored, as it directly effects on the cost factor of our lives. Whether it is a filing of Income tax return, saving your tax, or an investment decision, JSAfinance.com will help you in all financial services required. Santacruz (West) - Mumbai - 400 0054 India.